If you have any intention to live in Europe, immigration to Cyprus will be the best decision you can ever make. This island is one of the Europe’s popular tourist spots for its warm and sunny weather, welcoming people, and beautiful beaches. Interestingly, the rules associated with Cyprus immigration are not hard to deal with. The country’s safe, developing and business-friendly environment is a contributing factor to investors’ success, growth and confidence. Given the above, the time is ripe now for investing in Cyprus and simultaneously obtaining its citizenship. Immigration to Cyprus is not a complicated process. If you wish to go through this process as fast and comfortably as possible, you just need to abide by the relevant rules and regulations. Cyprus has been a member of the European Union since 2004 and also the Eurozone since 2008. Its diversified economy, EU/Eurozone status as well as its location at the centre of Eurasia has ever since attracted many investors who seek favourable opportunities in Europe. This amazing island has much to offer to those who wish to invest and live here. You will definitely be thrilled by everything in this country whether you plan to immigrate to Cyprus for personal or business reasons – from carefree lifestyle to investment opportunities. Prior to making any attempt to apply for migration to Cyprus, please ensure that you are fully aware of the Cyprus immigration laws. This can avoid any possible delay and also make things much easier. We will be glad to look out for you on the Cyprus sunny beaches once you have completed the immigration process. To find out what you need to know to get started, please read on! The Programme for Cyprus Citizenship by Investment is mainly for attracting foreign investment. 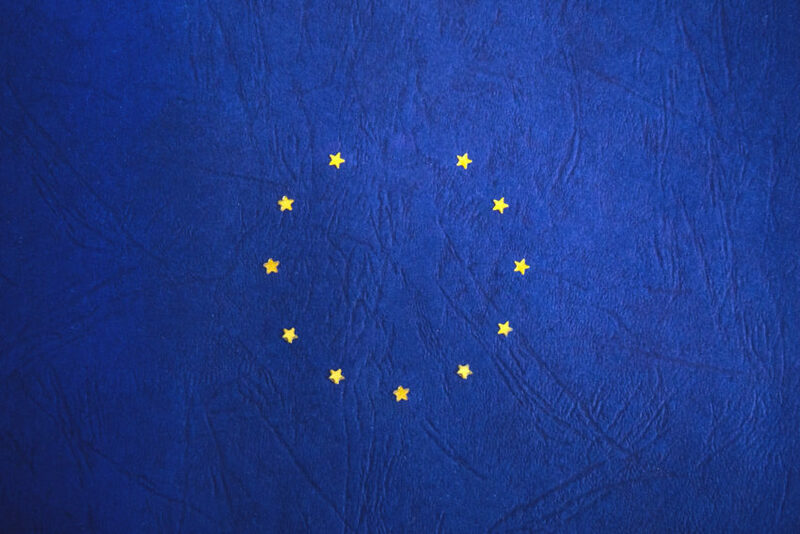 It entails a straightforward citizenship process with all the advantages an EU and low-tax state can offer. It also allows you low investment thresholds with no requirement for physical presence or renouncing your current citizenship. Cyprus Citizenship by Investment Programme is one of the most valuable ones in the world. This is because it is guaranteed and is one of the fastest ones in the world. Besides, this is an affordable programme for those who are interested in obtaining Cyprus citizenship. It is indeed a win-win situation for both the country’s economy and foreign investors. There is no requirement for learning the native language of Cyprus: Potential investors are not required to be given a pre-citizenship interview. The cultural and social atmosphere in Cyprus is overwhelmingly friendly and favourable. 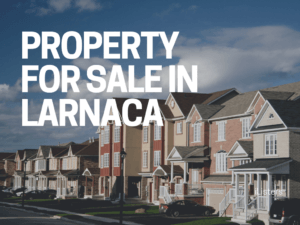 There is no requirement for high financial commitment: You can dispose of a large proportion of your investment in three years although you should retain your property with an assessed value of EUR 500,000 as your habitation in Cyprus. You can retain your current citizenship: This implies that a dual citizenship is allowed in Cyprus. Increased mobility: As a Cypriot citizen, you have the opportunity to freely travel across the 28 EU member states. You can also apply for a visa to travel to over 160 world countries. The processing time is quick enough: Within 3-6 months, you will get a European ID both for yourself and your family members. Your family is welcome in Cyprus: Your spouse and children will be qualified for citizenship in Cyprus although certain prerequisites will apply. There is no expiry date: Unlike outside residency programmes or long-haul visas, the Cyprus Citizenship Programme does not require you to re-apply for or restore your citizenship. There is no prerequisite to your Cyprus residency: You have the opportunity to obtain you Cyprus citizenship without being required to be an occupant or continuously available in the country although your visit at regular intervals is required. Free financial movement is possible: As Cypriot residents, you and your family members have the opportunity to live and work within the EU zone. Investing EUR 2 million in purchasing, creating or supporting organisations or businesses operating and based in Cyprus. These organisations must be in close proximity to each other and employ no less than 5 Cypriots. Financial resources for associations or businesses in the form of securities, bonds, debentures and so on issued and enrolled in Cyprus and directed by CYSEC. Your investment may also include the purchasing of exceptional government bonds up to EUR 500, 000. 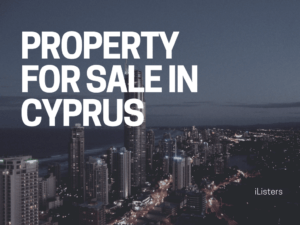 If you make an investment in land to obtain citizenship in Cyprus, the property can be included within the required EUR 2-million investment. If your initial investment for citizenship is exclusively in private land, there is no need to get an announced home. After the attainment of citizenship, you have the opportunity to offer one so-assigned private property and purchase others as long as the value of the property is EUR 500,000. 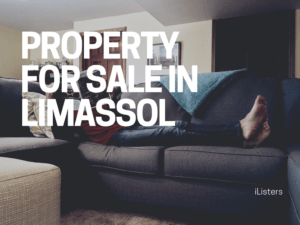 You should retain the ownership of your property that is estimated at EUR 500,000 and assigned as your living arrangement in Cyprus. However, you have the opportunity to offer your investment after three years. NB: Bearing in mind all the options listed above, you may invest up to EUR 2 million for obtaining Cyprus citizenship. However, you need to retain the ownership of a property with an estimated value of EUR 500,000 as your living arrangement in Cyprus. All family members interested in Cyprus Citizenship by Investment Programme are welcome to opt for this approach. All they need to do is to just ensure they have adhered to the requirements for Cyprus citizenship. Spouse: Your spouse will have the opportunity to obtain citizenship under the same application you submit following the Cyprus Citizenship by Investment Programme. Students who are not studying to simply obtain a professional title such as certified barrister or accountant. Students of foundation university courses who have not been studying for more than two semesters. Parents: The parents of the applicants for Cyprus citizenship by investment can also apply for citizenship providing that they own a property as their Cyprus permanent residence that is worth at least EUR 500,000. The applicants and their parents can acquire a single property that is owned by them if it is worth at least EUR 1 million. Legally incapacitated dependents: Dependents who are legally incapacitated can also apply for Cyprus citizenship under this category. As you can see, applying for Cyprus citizenship by investment is not a complicated process. If you can provide all the required documents, the process is not hard to go through. For further information, you can see our list of required documents. Obtaining Cyprus citizenship by investment is a meticulous and straightforward process through which you will receive a swift and exemplary service. Upon providing your information, the service will be offered with no delay. Also, you will have access to the things that suit you best. Going through the same process if you wish to ensure that your spouse is eligible for Cyprus citizenship – should your spouse obtain the approval, you need to follow the steps so they can apply for Cyprus citizenship. Reviewing your status and information by the Ministry of Interior Affairs – if approved, the Ministry will then forward them to the Council of Ministers for final review. Any discussion and/or approval of the issues associated with citizenship are based on the terms of this panel of ministers. Granting Cyprus citizenship by investment – It is achievable when the Council of Ministers has access to all the required information and documents. 6-month processing period – this is usually the time required for processing your Cyprus citizenship status and for announcing the final decision of the Council of Ministers. NB: In order to verify the legality of the funds, there will be background inquiries as a routine part of the process. NB: A marriage certificate is also required if your spouse is making the investment or you are making it jointly. In this section, you can find answers to the questions frequently asked about Cyprus citizenship by investment. Q: Why is the Cyprus Citizenship by Investment Programme attracting so many investors from around the world? Q: Together with the investor, are all family members like parents, spouse, and children entitled to obtain Cyprus citizenship by investment? Dependent family members including spouse and children who are under 18 can obtain Cyprus citizenship by investment along with the investor. Financially dependent adult children who are who are under 28 can also attain Cyprus citizenship together with the investor. Investor’s parents whose children have already attained Cyprus citizenship by investment can also obtain citizenship if they purchase a EUR 500,000 property. Put differently, they are not required to make a full investment of €2 million. So a house or an apartment that costs at least €500,000 would be sufficient to apply for and obtain Cyprus citizenship by investment. Q: Can common-law wives/husbands obtain Cyprus citizenship by investment together with the investor? Or only those who are officially married have the opportunity do so? Those men and wives who have been living with each other as common-law spouses have the opportunity to register their marriage in a city hall in Cyprus. Even if they do not intend to do so, they can marry in a church without state registration of their marriage. Marriages registered and certified by Orthodox Church of Cyprus and also common-law marriages are legally recognised in Cyprus. So they will have the opportunity to apply for Cyprus citizenship by investment. Q: Do the passport and citizenship obtained under the Cyprus Citizenship by Investment Programme differ from other types of citizenship and passports? Under this programme, can an investor enjoy the rights that other Cypriot citizens have (e.g. the right to live, study, work, and move freely within EU)? Yes. In addition to all the rights mentioned above, the applicant will also acquire the right to vote in Cyprus. Q: Does the applicant need to live in Cyprus prior to obtaining its citizenship? No. Applicants are not required to live in the country before they attain Cyprus citizenship by investment. Q: Does the applicant need to take a Greek language proficiency test or an exam on the history of Cyprus as a requirement for citizenship? No. Applicants do not need to take any language proficiency test or history test to obtain Cyprus citizenship. Q: Are applicants needed to live in Cyprus after they have obtained its citizenship in order to retain it? No. Applicants are not required to reside in Cyprus in order to retain their citizenship. Q: After obtaining Cyprus citizenship by investment, what tax burdens will be imposed on the investor? Will he or she be required to pay taxes on the income they earn outside Cyprus? No new or additional tax liabilities for the investor will arise unless they choose to become a tax resident of Cyprus – i.e. a resident who spends 183 days or more in Cyprus. Tax residents of Cyprus WHO HAVE NOT BEEN DOMICILED within this country (those residents who have not been tax residents of Cyprus for 17 years out of 20) WON’T BE SUBJECT TO taxes on bank deposit interests, rental income, and dividends on the income generated in Cyprus and/or worldwide. Q: Will an investor who has obtained Cypriot citizenship by investment be automatically granted EU citizenship? Yes. Cyprus citizens are automatically European citizens because Cyprus is a member of European Union. This means that they can work, study or live anywhere within Europe. Q: Can the investor include his or her family in the application they submit? Children who are under the age of 18. Those children who are between the age of 18 and 25 and are full-time students financially dependent on the main applicant. Parents or grandparents of who are over the age of 65 are considered dependents if they are fully supported by or living with the main applicant. Note that there is no requirement for the children or spouse of the investor to make any additional investments. Q: Is the investor required to live within Cyprus? No. There is requirement for the investor to reside or be physically present in Cyprus before or after the approval of his or her application. 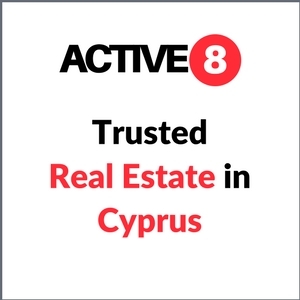 Q: Is the investor required to own a real estate within Cyprus? Yes. The main applicant must own a permanent residence with the value of at least EUR 500,000 + value added tax (VAT). All the family members of the investor can pool their resources if the total amount of the house/residence covers the amount of €500,000 for each applicant. However, there is no requirement for the investor to reside or be present in Cyprus. Q: Is the investor required to purchase a private property to meet the legal requirements for obtaining Cyprus citizenship? Yes. The law provides for the purchase of a private property with the market value of at least EUR 500,000 plus VAT. This is regardless of the criterion according to which the investor prefers to submit an application for attaining Cyprus citizenship. Q: What if the investor purchases a villa as an investment? Should they purchase additional private property that is worth at least €500,000? No. If the investor has purchased a €2-million residential property, they do not need to purchase additional property. Also, if the investor purchases various private properties that come with the same amount of €2 million, they do not need to purchase an additional property. Although the investor can sell the investment after three years, they always need to maintain a property with a value of at least EUR 500,000. Q: If the investor already owns a villa in Cyprus, can it be offset when calculating the total amount of investment? Yes. This is the case when the investor has purchased the villa not earlier than three years before they applied for citizenship. Q: How long will it take the Cyprus immigration authorities to consider an application for Cyprus citizenship? From the time the investor submits the application, it takes the authorities three months at the most to consider it. Accordingly, the investor will obtain a Cyprus passport in three months. Q: Is there any possibility of the loss of the money invested? No. The investor can sell investment properties after three years and get back the money invested. 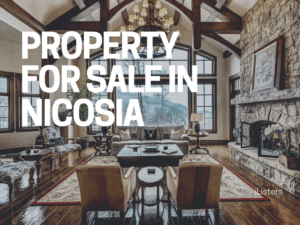 Q: Can the investor sell the villa for which he or she paid €2 million with no intention to live in as soon as they obtain Cyprus citizenship by investment? The law provides for this option only three years after the investor has purchased the property. Investors can sell their €2-million villa within three years but they need to maintain the €2- million investment. That is, when they sell their villa, they must purchase a house or various residential units for the total amount of EUR 2 million. If the investor purchases multiple residential units, the value of one of them must be at least €500,000. For example, the investor can purchase a villa for €500,000 along with 15 apartments for €100,000 each. 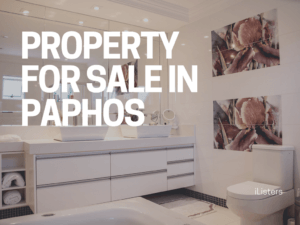 Upon obtaining Cyprus citizenship after three years, the investor can sell all his or her properties provided that they always keep one house or apartment on their name that is worth €500,000. Q: Do investors need to make an investment personally or do they have the opportunity to do so through their company/companies or an investment fund/foundation? If there is a proven correlation between investors and fund/foundation or their company, they have the opportunity to do so. Q: In the case of purchasing a real estate, are transfer fees included in the €2 million amount invested? No. As with other charges or taxes, no transfer fees are included in the amount that has been invested. Q: Is it a must to purchase a property that is sold only for the first time to obtain Cyprus citizenship by investment? No. Investment in properties is not limited to the ones purchased only for the first time, according to the Council of Ministers’ Decision. Therefore, investors can invest in any property that is either new or resold. The only difference between purchasing a new property and a resold property is that the investor must pay between 5% to 19% value added tax. Note that this amount is non-refundable and not considered as part of the investor’s investment. Q: Will Cyprus citizenships expire? No. Upon obtaining citizenship under the Cyprus Citizenship by Investment Programme, the investor and his or her family will enjoy the granted citizenship for life. It is also possible to transfer it to the next generations by descent. Q: How long does the process of obtaining Cyprus citizenship and passport usually take? If the applicant for Cyprus citizenship opts for the investment in real estate option, the approval of the application will typically take three months. Upon getting the approval, the process will take another three months so the investor can receive the Cypriot passport. Q: How are new citizens taxed? If residents spend more than 183 days per year within Cyprus, they will be considered as a Cyprus tax resident. A tax resident of Cyprus is taxed on all the chargeable income generated and accrued from any sources inside Cyprus as well as abroad. However, non-tax residents will be taxed only on certain income generated and accrued from any source within Cyprus. Any foreign paid taxes can be credited against personal income tax liability. While personal tax on the income generated within Cyprus is taxed at progressive rates up to 35%, this rate for corporate tax is 12.5%. Q: what does ‘Schengen Area’ refer to? Cypriot citizenship affords the investor the opportunity to travel across the Schengen Area of the EU with no restrictions. Indeed, the term is a reference to a group of 26 European countries in the European Union in which the immigration and passport controls have been abolished at the borders they share. The entire area functions as a single country with a common visa policy in order for international travel purposes. Q: what are the government fees for obtaining Cyprus citizenship? Q: what are the criteria for Cyprus passport application?